Since March 15, 2016 passengers (exceptions see: http://www.cic.gc.ca/english/visit/eta.asp ) who fly or transit through Canada are expected to have an Electronic Travel Authorization (eTA). You can apply online and for this purpose you need a valid passport, a credit card, and an email address. The cost is 7 Canadian Dollars and the document is valid for five years at the longest; expiry may be earlier if your passport expires earlier. Most eTA applications are approved within minutes of applying. Please note: Your eTA is linked to your passport – if you have a new passport issued you need to apply for the eTA afresh! Seit dem 12. Jänner 2009 müssen sich USA Reisende ohne Visum, vor der Einreise in die Vereinigten Staaten bis spätestens 72 Stunden vor Abflug über das Online-System ESTA (Electronic System for Travel Authorization) registrieren. 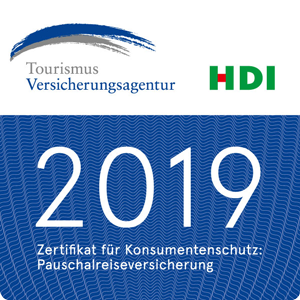 Die Registrierung ist grundsätzlich für einen Zeitraum von 2 Jahren auch für wiederholte Reisen gültig. Bisher war die Einreisegenehmigung kostenfrei. Ab 8. September 2010 ist bei der Beantragung der Reisegenehmigung eine Gesamtgebühr von 14 US$ zu entrichten. Dieser Betrag kann nur mittels Kreditkarte bezahlt werden, das ESTA-System akzeptiert derzeit nur folgende Kreditkarten MasterCard, Visa, American Express und Discover. ACHTUNG: Dies gilt z.B. auch bei Reisen nach Palau oder Yap die via GUAM gehen! Our trips will take you to far-away destinations all around the globe. DAN Europe offers 30 years of international expertise and a worldwide network with the optimal safety solutions for our clients and their families. Wherever Waterworld is on tour – DAN is there as well. For Austrian, German and Swiss citizens, for example, we recommend the “Sport Silver” as an absolute minimum for insurance. The inexpensive year-long protection with 100 % cancellation protection is all you need! You may also choose a travel insurance customized to your needs. If you choose “all in one” your insurance coverage is valid for a whole year and you do not have to effect new insurance every single time you travel. The insurance coverage applies for travels all over the world, irrespective if you have booked your trip with a travel agency or if you have made private arrangements and irrespective of your means of transport (car, bus, train, airplane, ship). THE photo insurance for underwater photographers and videographers! Protect your camera equipment, flashlights, camera housing and any accessories against theft, accidental damage etc. and even operating errors for the reinstatement value. This is almost too good to be true. Fill out the form and send it to Waterworld via email or Fax. Jede Woche knackige Bilder zum Träumen und brandheiße News. Kurz und informativ. Melden Sie sich gleich zu unserem Newsletter an und werden Sie Teil unserer Waterworld-Community!